Analysis in CanOils’ new report “Upstream Oil & Gas M&A in Canada Reaches Cdn$347 Million in March 2016” shows that while March 2016 saw the lowest monthly deal value for domestic Canadian E&P assets since mid-2015, there was a distinct increase in M&A activity involving internationally-focused Canadian companies. Domestic deal value has been low since 2016 began; the combined total values of newly announced domestic Canadian E&P deals in January, February and March 2016 do not reach the total of Cdn$1.35 billion of December 2015 alone. 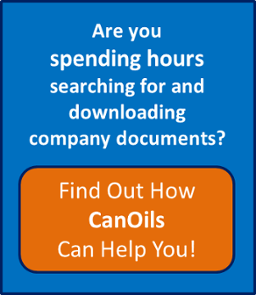 Download the CanOils review of March 2016’s most significant deals involving TSX and TSX-V listed E&P companies here. The biggest deal on the domestic front in Canada from March saw Penn West Petroleum Ltd. (TSX:PWT) continue its divestiture programme with the Cdn$148 million sale of its Slave Point assets. The company also agreed Cdn80 million-worth of non-core asset sales in March 2016, bringing its total asset sales since January 2015 up to over Cdn$1 billion. Outside of Canada, there was more deal activity in March 2016. The biggest deal involving a Canadian-listed company in March 2016 saw a group of Chinese investors agree to acquire Bankers Petroleum Ltd. (TSX:BNP) for Cdn$638 million including debt. The company is mainly focused on the Albanian E&P industry and produces over 18,000 boe/d. In all, Canadian-listed companies were involved in M&A-related stories in 13 different countries around the world this month. Full details on all of the biggest deals and M&A stories, including all Canadian E&P assets put up for sale in March, detailed analysis on the Penn West Petroleum asset sales and the Chinese acquisition of Bankers Petroleum, are provided in the CanOils M&A Review for March 2016.